Underworld Ascendant is a difficult game. Not because the systemic design allows for so much experimentation. Not because the dark corridors and moody anti-chambers are filled with so monstrous enemies that are hard to defeat. No, Underworld Ascendant is a difficult game because it just doesn’t work. 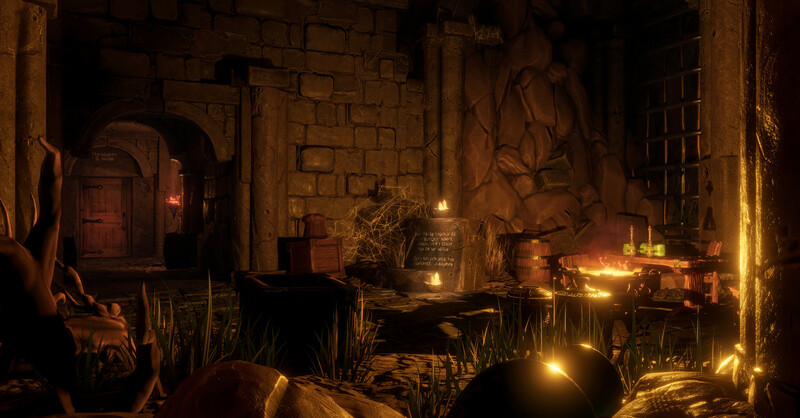 After its successful Kickstarter campaign back in 2015, I was looking forward to Underworld Ascendant. After all, it is at least in theory the spiritual successor to Ultima, one of the forefathers of video games and specifically of systemic, immersive simulations. But what has been now released sadly bears only the most superficial hallmarks to the titanous genres Ultima created. You play as the Avatar (not of the Airbending kind), on a quest through the Stygian Abyss to defeat the evil Typhon. The game is keen to remind you that it’s an immersive sim at literally every turn. The dialogue is filled with maddeningly unsubtle remarks about making you think, needing to experiment and only the tiniest flavour text about the world and your quest, and even then the prose is so alien and strange it cannot be taken seriously. Your mentor refuses to use the word environment for some reason, constantly saying environ, which is apparently a real word, but not one that bears repeating every time you open your mouth. When Underworld Ascendant isn’t reminding you of its credentials when through its audio, it’s doing it through the visual. Notes scrawled along walls are plagued with similar sentiments and honestly, I don’t understand why they felt the need to reinforce it so much. Because, frankly, the immersive aspects of the game just aren’t that strong. The tutorial starts promisingly, with a locked door you have to burn down to progress. But quickly you’re given wands with unhelpfully specific uses like, fire, or move wood that only really have one use. For all the labouring it does to set itself on the immersive throne, it doesn’t have much to show for it. A lot of the other mechanics it highlights are things countless other games have done better already. Throwing objects can activate switches, water arrows can douse flames, and pressure plates need an object to lie upon them. There are more, but the scope of the ideas doesn’t get much higher than this. And with the frame rate and stuttering occasionally plaguing this game, even the steady progression of simple puzzle solving is broken in a way that makes it particularly unappealing. Normally the game ran smoothly during my playthrough, but the frame rate would suddenly plummet seemingly at random. I found that pausing and unpausing my game occasionally fixed the issue but it nonetheless made playing impossible until the issue passed. 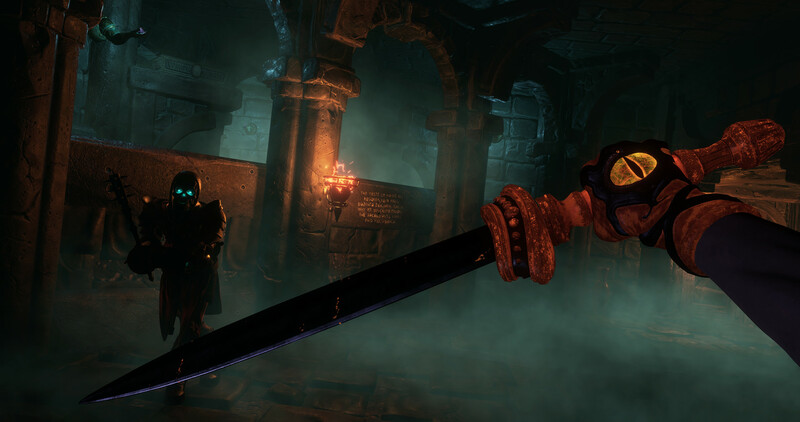 Underworld Ascendant wants to stand on the shoulders of giants, but in all honesty, it isn’t even up to their toes. Games like Dishonored, Prey and even the latest The Legend of Zelda: Breath of the Wild all have far more interesting and experimental mechanics than this one. It’s clear OtherSide Entertainment wanted to make a game that fits with the tone of the original Ultima series, with the paired down story and almost aggressively confrontational face that jumps up to speak to you at the beginning of the game. But it doesn’t meaningfully attempt to develop on the decades of improvements it could have. In Breath of the Wild, I had a moment of pure joy when I realised you could use metal weapons to connect electrical circuits in the trial rooms. It’s something that I don’t think the game ever explicitly says but works a creative way to cheat the tomb, or at least speed things up. I was hoping for more of that with Underworld. I was hoping that I would discover new ways of interacting with the various puzzles and play in a state of constant revelation. But that didn’t happen. I was never particularly surprised by any of the possibilities in the game, no matter what it threw at me. And to compound these issues, the more direct means of play aren’t interesting either. Stealth is just a matter of staying in the dark and using the few heavily signposted options to remove any light from your path. Combat is even worse. Weapons and enemies alike feel weightless and strange, and you never get any satisfying feedback when striking an enemy. There are a lot of creatures you might encounter in the abyss and some work differently to others, but for the most part, shooting and flailing and are acceptable, if not interesting, survival strategies. Clearly the effort was mostly spent on the puzzles, but unfortunately I think the developers looked strictly to the past when making them. The art design is nice. Everything has this cartoonish edge that gives its graphics a colourful feel, but the lack of variety weighs that down as well. The dungeons you crawl through are either drab stonework corridors or small expanses of colourful plant life. None of it looks bad exactly, but you will have seen most of the interesting designs by the time you complete the tutorial. The immersive sim is a genre that is constantly under siege. Some developers seem nervous to work on such a title, while larger genres continue to blend its interaction with more mainstream successes. But when they strike the right chords they are wonderful. Even though Prey didn’t quite break through the mainstream, the game was a masterpiece of open ended puzzle solving just like Deus Ex and Dishonored. Unfortunately, Underworld Ascendant simply cannot be counted as one of these successes.